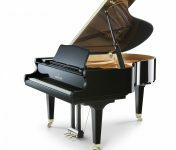 The founder of Kawai, Koichi Kawai, had always dreamed of making the finest piano. A generation later, his son, Shigeru Kawai, turned it into reality by making the Shigeru grand pianos. When you play a Shigeru Kawai piano, you will understand Shigeru’s dream and lifetime devotion to pursuit the making of a perfect piano. 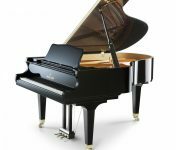 Unprecedented in the piano industry, each owner of a Shigeru Kawai piano will receive an extraordinary visit from one of Kawai’s elite Master Piano Artisans within the first two year’s of ownership. During this visit, the Master Artisan will perform a complete concert-level regulation, voicing and tuning to show their commitment to customers who have selected the Premier Piano of Japan. At Roger’s Piano, we carry a variety of new and preowned Shigeru Kawai pianos for sale in our showroom in Natick, MA. Contact us today at 508-545-0766 for more information or to schedule an appointment for a private showing.